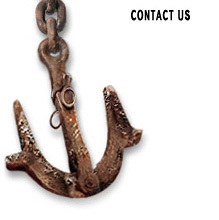 Cross Marine provides marine construction services in a variety of extreme working conditions. 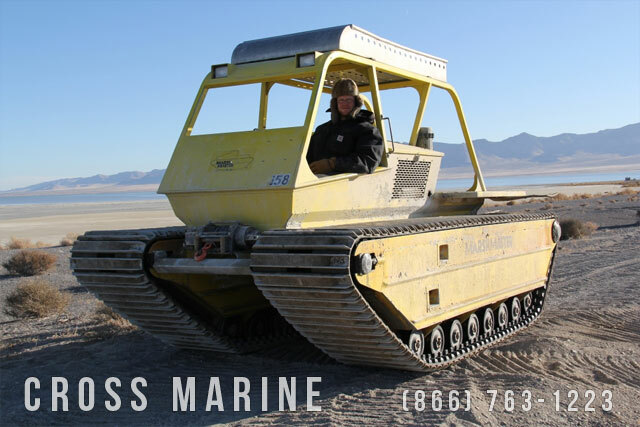 Our amphibious machines allow us to work in shallow semi-aquatic locations such as marshes, shallow lake beds, mud flats and other environments not suitable for typical marine vessels or land vehicles. 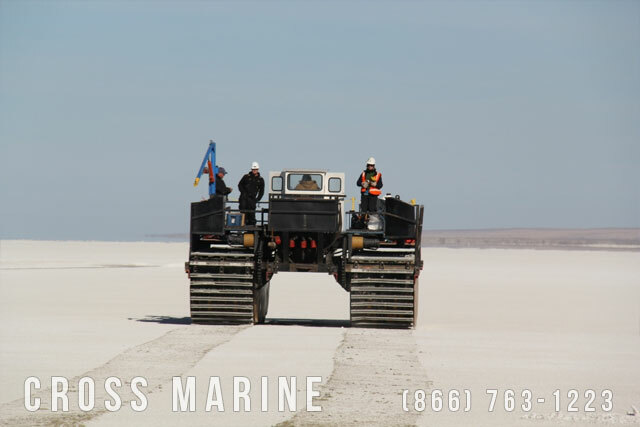 Cross Marine’s all-terrain amphibious vehicle transporting crews and supplies to shallow lake drilling site. 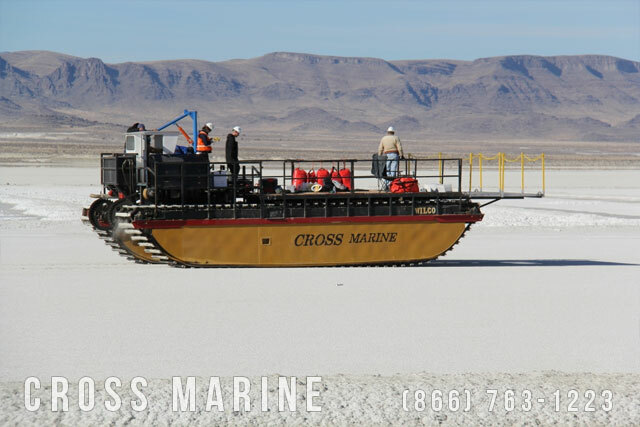 Cross Marine’s amphibious work vessel transports crew across Lake Sevier’s Muddy Shoreline to a remote drilling location in Utah. 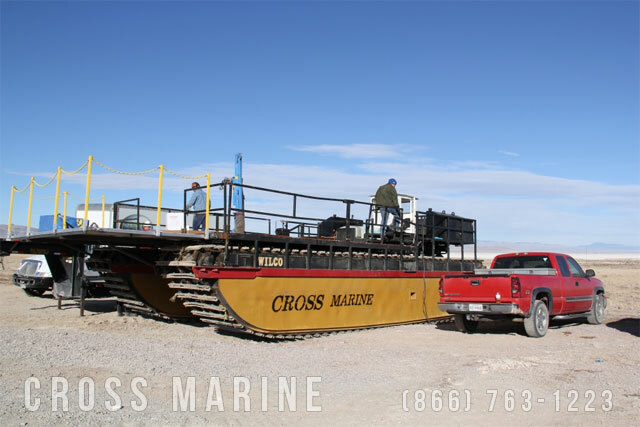 Cross Marine’s Marsh Master Amphibious vehicle transports supplies and crew to and from shallow water drilling sites.